Health care spending in Estonia is significantly lower than the average in the OECD countries, writes LETA/Postimees Online. Estonia only spends 6.3% of its GDP on health care costs while the average among OECD members states is 9.5%, is revealed by the organisationâ€™s 2012 health care sector overview. Only Mexico and Turkey spent proportionately less than Estonia for health care. 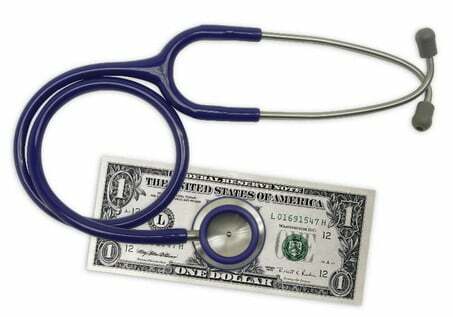 According to the organization, spending on health care increases together with the increase in wealth and the countries, with higher GDP, also have greater health care spending. For example, the United States spent 17.6% of their GDP on health care, the Netherlands 12% and France 11.6%. Estoniaâ€™s GDP is also that much smaller from the point of view of purchasing power. Estoniaâ€™s GDP per capita is estimated at around 1030 Euros, while the OECD average in 2012 was 2600 Euros. In the year-on-year comparison, Estoniaâ€™s health care spending grew by an average of 6.9% between 2000 and 2009. In 2010 however, it suffered a severe decline of 7.3%. Health care spending also fell in several other OECD member state in 2010.